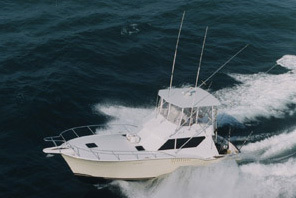 Climb aboard the “Skirt Chaser”, our 42’ Hatteras, and relax in comfort and style as we whisk you away to the fishing grounds. 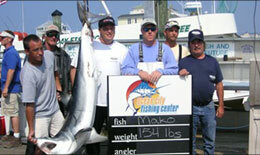 Ocean City is famous for its marlin fishing, often called the White Marlin Capital of the World. At Reel Addiction Charters, we target these hard-fighting fish, as well as a great number of other pelagic and bottom dwelling fish species. Ocean City boasts warm currents, inshore bottom structures and offshore canyons that attract huge numbers of sport fish every year. From May to September the fishing in Ocean City is second to none. Captain Gregory Ignash has been fishing the waters of Ocean City, Maryland for over 22 years. 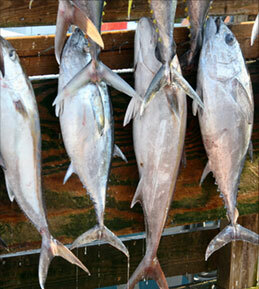 Captain Ignash has dedicated himself to providing the highest quality charter fishing experience for his clients. Captain Ignash, along with his friendly and knowledgeable crew, are ready to guide all of their guests-whether novice fishermen or experienced anglers-on a charter fishing trip they will never forget. 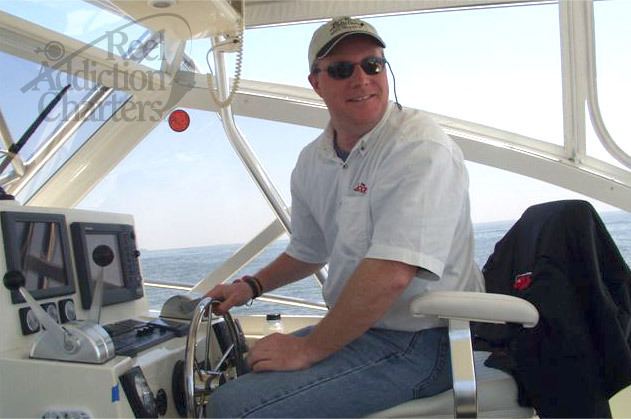 Reel Addiction Charters offers full-day and overnight fishing trips for up to 6 anglers. 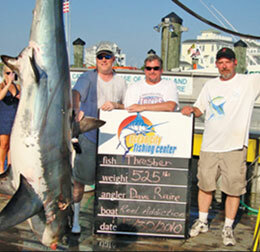 If you are looking for rod-bending, heart-pumping action for some of the biggest and most prized sport fish species in the world, look no further than Reel Addiction Charters in Ocean City Maryland. Captain Gregory J. Ignash puts 30 years of professional Maryland fishing charters experience at your service. By the time he began serving as a mate on ocean city charter boats three decades ago, he already had years of experience angling on inland waterways and working Chesapeake bay fishing charters. Captain Ignash is now featured on radio, television and in print as an authority in offshore sport fishing. Captain Ignash teaches offshore bait rigging techniques and conducts Chesapeake Bay and Ocean City fishing seminars at various outdoors shows along the eastern seaboard each offseason. Captain Ignash is an IGFA Certified Charter Captain, President of the Ocean City Captain’s Association, a member of Maritime Consortium, and the Ocean City Marlin Club. Finally, Captain Ignash proudly serves as a member on the Accurate Reel, and Seeker Rod pro staffs.